**The winners of WOULDN'T IT BE DEADLY are Trudi G and Jody Crocker! Email me via my website http://www.HankPhillippiRyan.com with your address! ****And this is the LAST DAY to enter my TRUTH BE TOLD contest to win a Kindle, a Nook or a big-buck gift certificate! Check it out here! HANK PHILLIPPI RYAN: All this week we’re talking about timing. How much difference it makes when we live. The times of our lives. Usually I write a little intro. But not today. 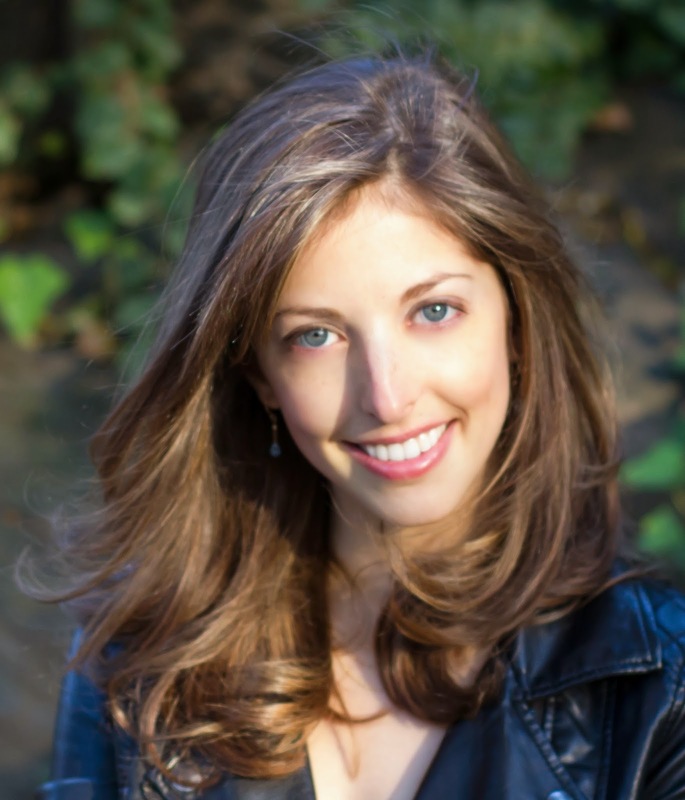 I’d rather have you simply read this from my dear pal Kira Peikoff. It's a very different post than we've ever had here. But that's the point, right? His hands hooked me first. They were capable and smooth, with agile fingers and short clean nails—attractive, if ordinary. But when he sat down at a piano, they unleashed a talent of dazzling power. We were 17, high school juniors on summer break, when I first saw them in action. We shared a piano bench as he treated me to a concert for one, covering hit staples of Billy Joel and Elton John. He closed his eyes when he played, as though nothing but the music mattered. And in his ideal world, nothing else did. But this was reality. Soon we were in college trying to figure out the direction of our lives; the only thing we were sure of was each other. I loved to write and he to play, but we shied away from artistic careers that everyone knew were fast tracks to poverty and disappointment. After a particularly grueling internship he sweated out in the world of high-stakes finance, a revelation struck him. It was New Year’s Day. We were sitting on cliffs overlooking the ocean in Corona del Mar, California, a favorite childhood spot of mine. He turned to me, and the light of the sun caught the gold flecks in his eyes. We were 21. Still young enough to make mistakes, I thought. Let him go for it. Real life—the stable, comfortable, secure life I envisioned for us—could wait. I cheered him on, simultaneously in awe and jealous of his commitment to his passion. I was less brave. After spending a gap year working on a novel, I jumped onto the corporate ladder of New York publishing. It was the closest I could get to books without actually being an author. I chose to focus on my backup career as an editor, while still taking the weekends to write fiction. While he made his dream front and center, I kept mine hidden from colleagues, ashamed of the absurdist cliché I’d become. I was an editorial assistant who wrote rejection letters to agents, only to come home and receive my own similar letters. But I harbored a secret smugness, too. It was okay if I failed at my art, because I had a safety net. I had a Society-Approved Career. He didn’t. I balked at how seamlessly he coped with unpredictability. Yet he pressed on with his unconventional choice. Our early twenties stretched into our mid-twenties. He held down a part-time sales job at a piano store while working tirelessly on music: He taught himself audio recording, wrote dozens of songs, and linked up with producers all over town. My friends used to ask me, with sincere concern: what’s he going to do if he doesn’t make it? In their omitted subtext, I heard: when is he going to quit and grow up? I would shake my head. The fact that they asked at all meant they didn’t understand him as well as I did by then: Once he made up his mind, there was no going back. Instead of waiting out his “phase,” I was starting to admire his tenacity. But my commitment to creativity was as flimsy as his was solid. When I tried to write on the weekends, I found that my imagination had atrophied. Buried in days of paperwork and reading other people’s manuscripts, I had nothing left for my own. While his life blossomed into national touring gigs, shout outs from celebrities, and an honest-to-god income stream, mine descended into conflicted misery. Should I take the leap, like him? Or keep trying for two separate but equal careers? When I finally got an agent and sold my first novel, I knew I was on the threshold of an opportunity. But first I had to reconsider what it meant to be “a success.” Was short-term happiness more important than long-term stability? Could I, a hater of uncertainty, be comfortable literally plotting my own path? I wasn’t sure. But he was. To him, it didn’t have to be all or nothing, fame and riches or bust. The future didn’t need to be problem-solved years in advance. As long as he could get up and do what he loved--most of the time--that was enough. While I was contemplating my options, a sudden medical scare interrupted everything. For a few months, I’d been ignoring strange flashes of white light in my right eye. Then I found out my retina was in the process of spontaneously detaching. If I didn’t have surgery right away, I’d go blind. He held my hand in the hospital and during the brutal weeks of recovery afterward. Once I returned to my office job, I was squinting hard in more ways than one. My surgeon had warned me that my other retina was—and still is--at risk for the same problem. Anytime it might detach out of the blue. Talk about no guarantees. I thought: If my vision is going to be limited one day, I better take full advantage of it now, since I might not be able to later. So with my piano man’s full support, I came to embrace the only career I’d ever really wanted. I chucked convention, kicked the ladder to the curb, and followed him down into the creative underworld. I traded suit skirts for sweatpants and daily meetings for dates with my Macbook. Like him, I got by with freelance and part-time work. Our parallel lives became like patchwork quilts. Necessary dull scraps alternated with bursts of color. The pattern was chaotic, but each day it was made by hand, with love. And like him, I have not looked back since. That’s not to say there haven’t been false starts. I wrote a partial draft of a manuscript that failed to sell. Again I started over. Over the next year and a half, I wrote a complete second novel on spec, not knowing if it would ever be published. But I didn’t need to know. A contract wasn’t the part that mattered most—though that would follow. His EP and my first book came out around the same time. Each of us proudly gave our first copy, hot off the press, to the other. We display them on a shelf side by side, a reminder of what’s possible. We share a common understanding now: Our goals don’t have expiration dates. Growing up doesn’t have to mean giving up. Every year, we return to that magical spot on the cliffs by the beach. It has become a place of wonder and possibility, where our dreams and reality go to get acquainted. So it was only fitting when, three years ago, he chose that spot to propose. 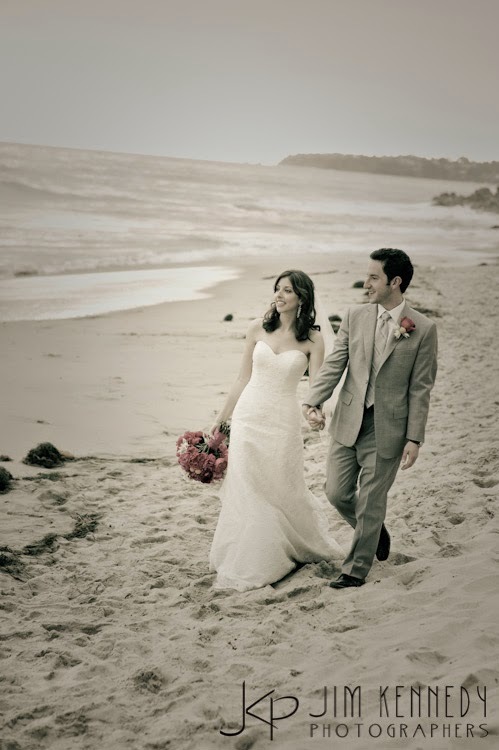 On our wedding day, we faced each other at an altar overlooking the Pacific. Before we exchanged rings, our officiant instructed us to hold hands while he recited a short poem that seemed as though it had been written just for us. I slipped my hands into my almost-husband’s and felt their quiet strength ground my nerves. A decade after our date on the piano bench, they were a little bit rugged, a little bit worn, but more capable than ever. And so, I realized, were mine. These are the hands that will give you strength when you struggle/ and the support and encouragement to chase down your dreams. Kira Peikoff, a journalist and novelist in New York, has written for The New York Times, Slate, Salon, and Nautilus, among many others. Her latest book is NO TIME TO DIE, a thriller about a young woman who mysteriously stops aging and may contain the fountain of youth in her DNA. May you both have long and happy lives filled with the joy of dreams fulfilled and the knowledge that it is indeed enough . . . . Wonderful essay Kira! You are so lucky and smart to have found the love of your life early and managed to grow along with him. Many happy times together and many book sales too! Bravo, Kira! The leap off the ladder is always terrifying, but the landing doesn't matter when someone's got your back! I couldn't say it better than Joan already has--congratulations on all counts to you both! Welcome, Kira! Hearty congratulations to you both! Isn't that always the story, the choice between conventional security and taking a flyer on your talent? And for most of us, always that nagging little voice that says, What if I have no talent? Beautiful essay on following your dreams, and especially, on having someone support you in doing so. Cheering! Life's too short... right? What a beautiful story. You've brought sweet tears to my eyes. Thank you. Yeah. I've read this a million times, and I love it every time. It's like--what would you tell your younger self? Can we ever know that? And yes, Kira, please do tell us about your book! Kira, I wish you and your Piano Man many years of joy together and I will applaud you both along the way. Guess what I'll be reading very soon? Can't wait! To answer Hank's question: I would say to young me "Don't do it!" Senior year in college, I was in my first serious romance. Strike that- it was my first real romance, period. And I gave up the Peace Corps(I was accepted and assigned to what I had requested) to see how that worked out. It ended, and he wasn't worth postponement of that long time dream. Even we cautious and practical people can be stupid at 22. A delightful love story. Good luck with the book, Kira. Loved this, especially as I bask in the glow of my daughter's wedding this past weekend. I love seeing people follow their dreams! Our wedding was at a camp setting in Connecticut and featured handmade geodesic dome/ moss ball centerpieces. Etc. Oh, Denise Ann, how lovely! Kira, that photo is gorgeous. Triss, I hope something else wonderful happened to make that decision eventually be a good one! Thank you everyone! It warms my heart that my story has touched others. I hesitated to share it because it's so personal to me but decided to as a tribute to my husband. 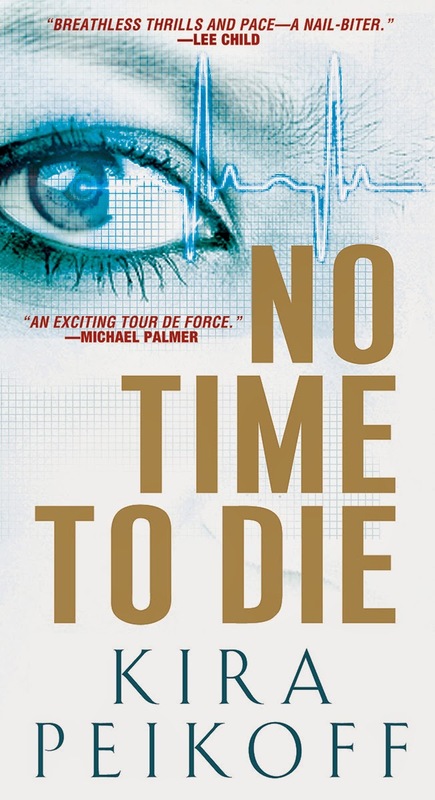 Some of you have asked about my new book No Time to Die. It's a thriller based on a real life medical mystery--a young woman who inexplicably stops aging finds herself at the center of an epic battle for control of her DNA, which may contain the key to unlocking the genetic fountain of youth. Joseph Finder says: "Fans of Michael Crichton will love this heart-pounding thriller." And Lee Child says it has "breathless thrills and pace but real substance too. A perfect mix of nail biter and thought-provoker." Wow! I was completely caught up in your story, cheering your husband on and hoping you would give yourself permission to let go of your safety net. Kira, you truly touched my heart with the sweet love story of two creative souls, and the picture was stunning. Also, Kira, your testament to following your dream comes at a time in my life when I am worrying about my son and his employment issues. I have always encouraged him to follow his passions, and he is such an intelligent, creative person that I do think it's important he do what he loves. However, the worried mother wants him to find a safe, well-paying job where he can marry his wonderful fiancee and have a lovely family and pay the bills. His fiancee is very supportive of him and quite creative in her own right. I have a couple of paintings she did for me that I love. My son wants to go into unconventional radio (with his degree in philosophy), and I am so torn on how to advise him, as I don't know anything about such radio, except for shock jocks such as Howard Stern, and that's not the direction he's thinking of. And, my husband, his father, is adamant about our son buckling down and getting a "grown-up" job. Sorry, I rattled on so, but you hit me where I live today. Congratulations on your book, Kira, and No Time to Die is headed to my TBR list. Eternal youth is a fascinating subject, and I'm a fan of the new ABC show, Forever. I would say that your book has good timing and predict great success. Hank, I see what you mean about this week -- how funny! I love when that happens. What a lovely essay. I can relate to getting into book publishing (me too: editorial assistant in NYC, reading manuscripts all the time, no juice for my own writing) because it was close to books. What an excellent premise--NO TIME TO DIE sounds great! What an amazing essay. I don't tear up easily, but it brought one to my eyes. I've thought about that jump off the corporate ladder myself, but two kids keep me clinging on - for a few more years, at least. Best wishes to you and your Piano Man! Well, no mistake--that's because we TOLD you it was Friday, imagine that! Jungle Red scheduling strikes again! Anyway-it's fabulous and compelling, and I know it must have been a little scary to write. Kira, thanks for the beautiful post! I love your story, and the book sounds fab. I love medical thrillers so it is going on my list. So glad you followed your dream! Oh, well done, all around! congratulations on all of it. Kira, I was very moved reading your story, and I'm so glad you were a guest here today. As you said, it is very personal which makes it all the more generous of you to share with us. NO TIME TO DIE sounds like a great story. Medical thrillers are among my favorites, and I won't miss this one! Tomorrow, a post with a topic you;ve NEVER seen on Jungle Red! And thank you, dear Kira, for an inspirational day!